The draw for the round of 16 of the Women's Champions League took place on Monday in the early afternoon at UEFA headquarters. Qualifiées pour les 1/8 de finale de la Women's Champions League après leurs victoires face à Medyk Konin (0-5, 9-0), les Lyonnaises connaissent leur prochain adversaire dans la compétition depuis lundi. Les championnes d'Europe en titre ont hérité de BIIK-Kazygurt et auront donc droit à périlleux déplacement au Kazakhstan lors du match aller le 8 ou 9 novembre, avant le match retour à Décines le 15 ou 16 novembre. Having qualified for the round of 16 of the Women's Champions League after their wins against Medyk Konin (0-5, 9-0), Lyon will found out who their next opponents are on Monday. The European champions drew BIIK-Kazygurt and will therefore face a daunting trip to Kazakhstan in the away match on 8 or 9 November, before the return leg on 15 or 16 November. Having gotten through the preliminary round, the Kazakhs eliminated the Scots from Glasgow City in the round of 32 with a 3-0 win at home a 4-1 loss away. 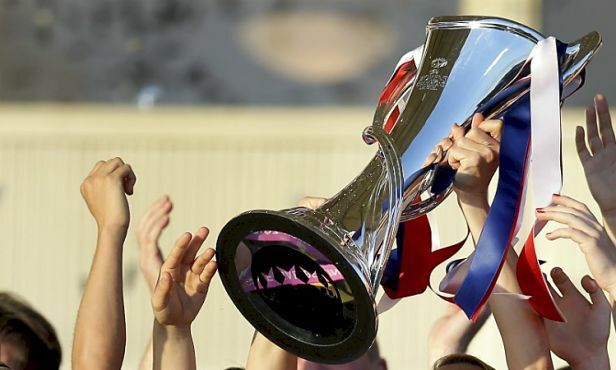 Last season, PSG drew BIIK-Kazygurt at the same stage of the competition and won 3-0 and 4-1.
. UWCL ROUND OF 16 DRAW .